“For others it’s sport, for us it’s a way of life. They have a stadium, we have a home. They have songs, we have an anthem. They have a manager, we have a guardian. They have supporters, we are a family. These are the final lines Jurgen Klopp delivers for the club’s promotional video this season. Like many, I’m often skeptical of promotional messages, especially when they are particularly emotive. But, if you have spent just a few seconds in the stands during a match or in a crowded pub early on a Saturday morning, you will understand. Most of you will recognize me as the buffoon fighting a losing battle with the microphone while delivering rambling announcements during the matches at the Vic. And that may lead you to wonder, how did he become a Liverpool fan? How did someone who spent much of his life shuttling between small towns in upstate New York and north-eastern and central Pennsylvania become a supporter of a football club from northwestern England? There are a lot of reasons, but I think one particular moment captures why this club means more, to me. I started following European clubs and European players in the early 90s when I was in high school. This interest became even more pronounced as the 1994 World Cup was about to come to ‘our’ shores. Among the teams on my radar then was Liverpool and among the players I kept hearing about was Steve McManaman. And not long before the World Cup another name was starting to bubble up – Robbie Fowler. It was around this time that I decided to adopt Liverpool as my team, but to be honest I was a mild fan at best. A couple of years later, I decided if I was going to be a Liverpool fan I best visit the city. I did a three-day whirlwind through the city in the summer of 1996 after a summer session in Ireland and before tooling around other parts of England. It was late July when I stood in the shadow of Anfield for the first time. It would still be a couple of more years before I actually made it into the stands. When I got back to the US at the end of the summer, I followed the ’96-’97 season as best as I could from State College. My interest in the team was truly piqued now that I had been there. My second trip came in late July of 1997 after another summer session in Ireland. 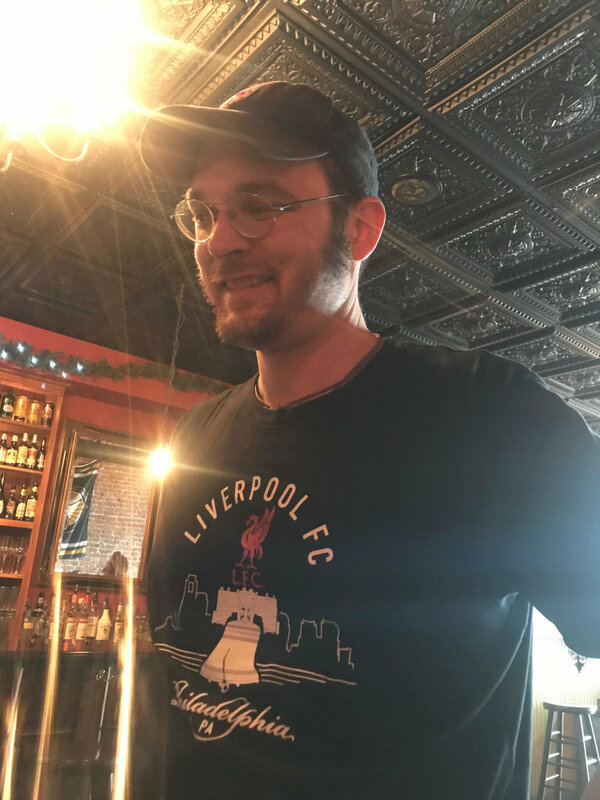 I can’t remember exactly where or how I came across the picture, but I found the image of Fowler showing a T-shirt supporting the Liverpool dockers. The incident had happened a few months before my visit during the 20 March Champions League match against SK Brann. Fowler and McManaman decided to wear the t-shirts under their LFC jerseys and reveal them when they exchanged jerseys after the match so that the gesture would fly under the radar of the authorities. After scoring his second goal Fowler lifted his jersey to reveal the shirt with the enlarged Calvin Klein “CK” logo as the center of the word “dockers.” At the time, I did not fully understand the context behind the political statement that earned Fowler a £900 fine, but I knew I had found a team and players that shared the values that I had grown up with in North-East Pennsylvania. I had found a team where my burgeoning political sensibilities and my love of soccer merged. I found players who cared about the fans in the stands and the workers walking the streets of their city. Here was a player maligned by the media as the “Toxteth Scally” and as one of the “Spice Boys” showing that he had a conscience and stood up for the people who worked hard and were hard done by the powers that be. Here is a team that has been speaking to me beyond the field, beyond the stands.